Freedom Museum received its newest static display today due to the gracious donation of the VFW Post in Childress, Texas. Special thanks to VFW Post 1657 and Allen Snapp for delivery, painting and set-up. 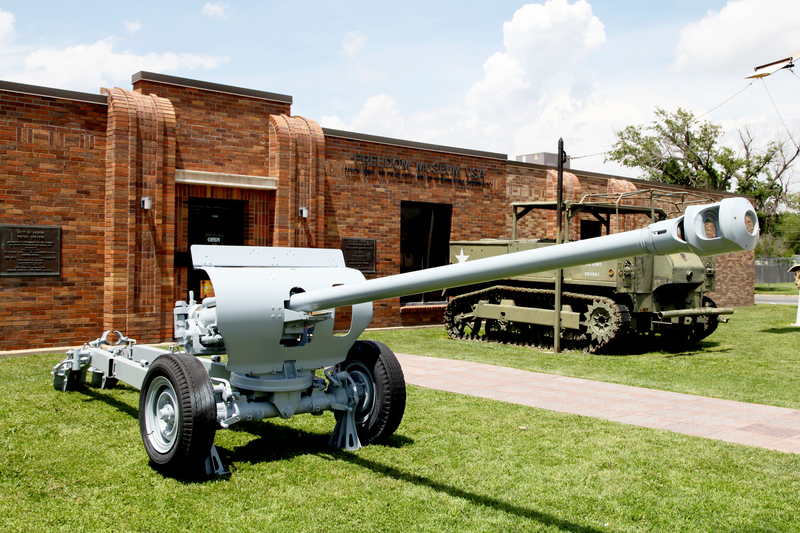 This US 76mm T-124 Anti-Tank Gun is based on a tank main gun. These types were fitted onto lightweight carriages for airborne service in the Korean War. The T-124 was produced in very limited numbers (less than 100), but it seems that many of this number currently exist as monument guns. Check out the new page Panhandle Veterans Hall of Honor for the photos and stories of each inducted warrior. New inductees coming in August.